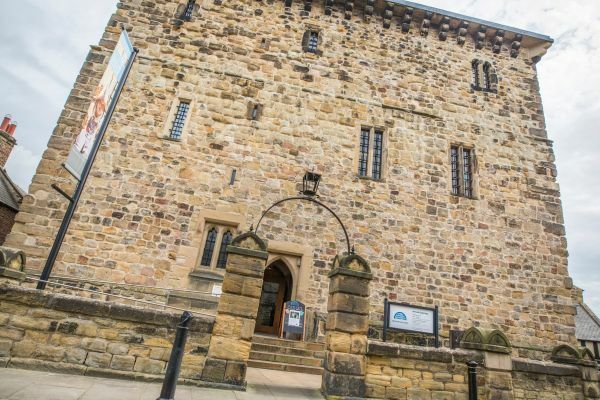 The oldest purpose built prison in England, Hexham Old Gaol will give you an insight into crime and punishment in medieval Northumberland. Hexham Old Gaol, in the centre of the town, was built between 1330 and 1333 and was used as a prison for almost 500 years. 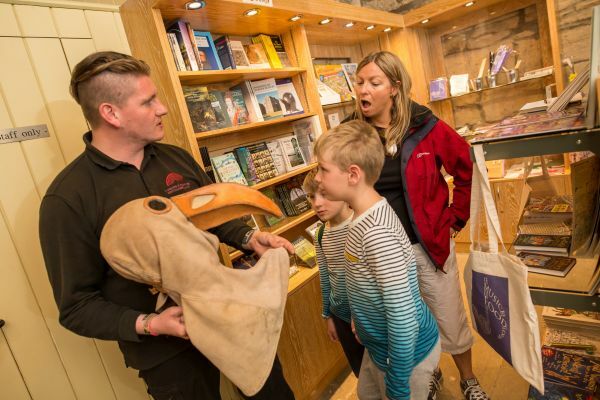 Inside its thick stone walls you'll find interactive displays on archaeology, costumes, armour and textiles. 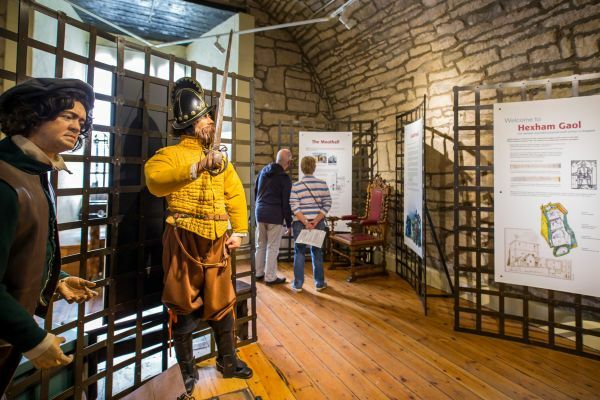 A 21st century glass lift will take you between floors and a vivid film all about the Border Reivers will bring this violent era of Northumberland's history to life. 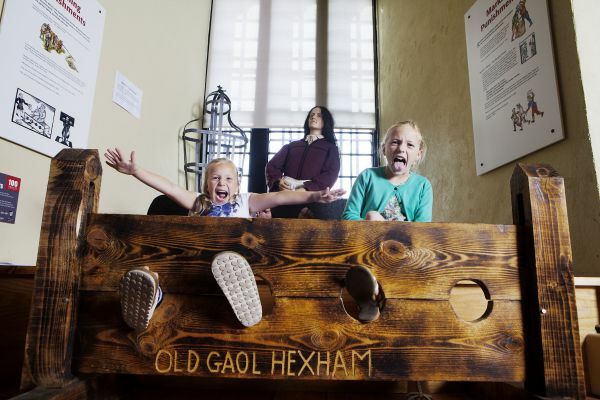 There is also a range of family-friendly activities including the chance to meet the gaoler to find out more about how criminals were treated. He'll tell you about the Border Marches and the practice of pledges where hostages were held within the prison until fines were paid or the accused turned up for trial. 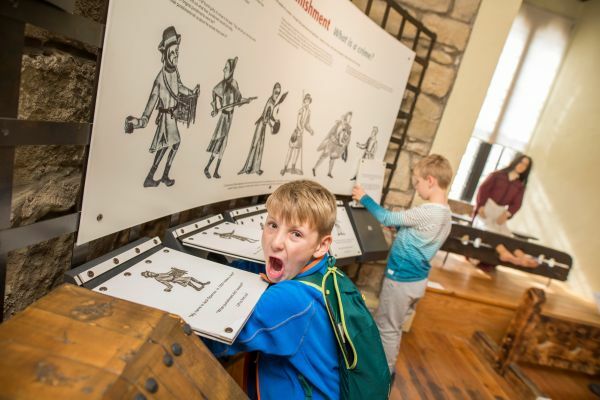 You can also uncover the family feuds which resulted in so many violent and untimely deaths and explore some of the buildings the people of the Borders lived in. The museum is also home to the Butler Collection, an archive of books, music, and recordings relating to the culture of the Borders. The newly refurbished Old Gaol, 1330 AD, allows access to everyone. Take the glass lift down to the dungeon, explore the history of the prison and the Border Reivers. An audio visual brings to life a Reiver raid. Meet the gaoler and Sir Robert Carey, warden of the Middle March, an interactive experience for families. Border Library in the Resource Centre in the Gaol. Charges include unlimited repeat visits for 12 months from the date of issue. A Trust-wide pass is also available at £16 including 12 months unlimited admissions to Woodhorn Museum, and Berwick Museum & Art Gallery. Morpeth Chantry Bagpipe Museum is also part of the Trust and has free admission. A small museum on four levels from the dungeon to the top floor. Various storyboards telling history of the cross border skirmishes that went on between families, and the place that various personages played in the running of the gaol and being in there. A set of questions about what would have happened to certain people carrying out various legal infractions is quite eye opening. A good 7 minute video pulls out how small grievances between two families can fester and grow - even beyond the point where either family remember what the original problem was. Really interesting. Lots of information on the Border Reivers who were a violent bunch! Lawlessness ruled for many years - don't worry - it's better now! Note this is a small museum. If you are in Hexham it is worth visiting here. The old gaol aspect of the museum gives an interesting look at how the gaol was managed. The boarder history aspect is also interesting. It is not a place that I would recommend making a long trip to alone, but is worth combining with other attractions in the area.